Shopping for Teenage Mutant Ninja Turtles Key Chains? 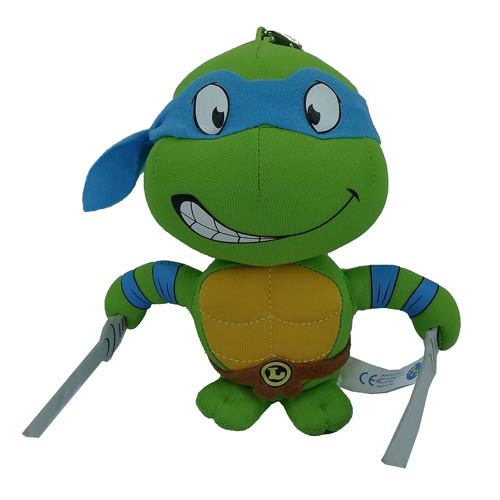 Display classic Leonardo in plush form or use him as a key chain with this super awesome Teenage Mutant Ninja Turtles Leonardo Super Deformed 5 1/2-Inch Plush Key Chain! Leonardo carries his 2 ninjato, sports his blue bandana and arm bands, and wears his brown belt with the "L" logo buckle. Affixed to the top of the 5 1/2-inch tall plush is a key chain so you can hang Leo from your backpack or simply use him to keep all your keys in a cool place!